I'm not sure how it happens so often but when it comes to meal time we tend to stick and rotate the same few meals each week. I think we always have good intentions of mixing things up but often (and especially with kids) we find ourselves sticking to things that are quick to make and know the kids will eat. Those things tend to be a pasta meal at least twice a week, jacket potatoes at least once and stir fry for something easy and to use up veg. I'm not saying we are massively unhealthy when it comes to meals and think we do eat a good amount of veg even if it mixed up with a lot of carbs but it does tend to get a bit 'samey'. When Gousto got in touch and asked if we wanted to try out one of their boxes I was intrigued. 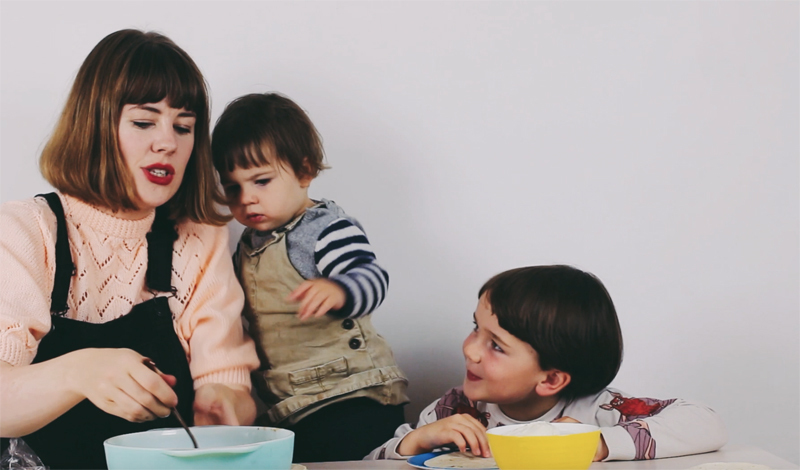 We have tried weekly meal boxes before but one of the things that we found tricky was not having control over what arrived and whether our children woulda actually eat it. With Gousto you do actually have quite a few options of what will arrive in your box. Each week you can pick your meal options from a good selection of meals. I actually expected as a veggie family for the selection to be quite limited but there were a good eight meals for us to pick from which ensured we were sure to have a few quick and easy ones and a couple ones we probably wouldn't have thought to make ourselves. 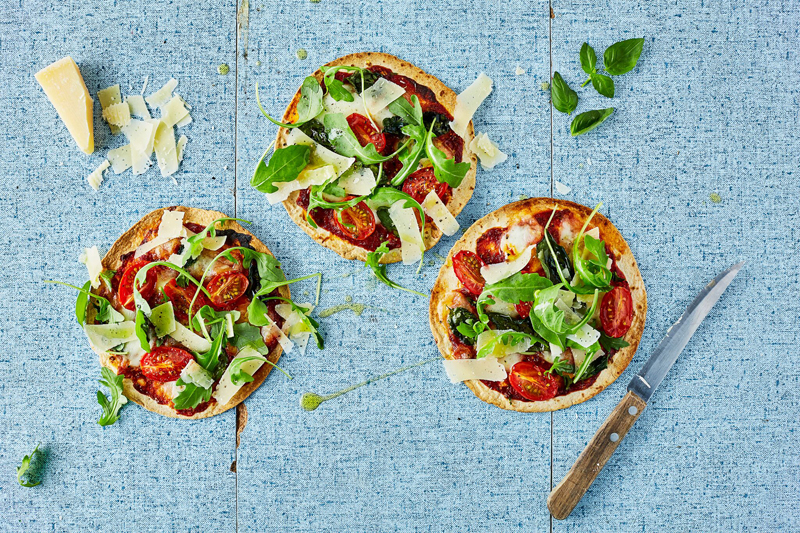 One of the meals in our box this week was the Tortizza Margerita and I thought this would be a great one to make together with the kids. I think that by cooking together it makes my children more interested in actually eating what they've created. 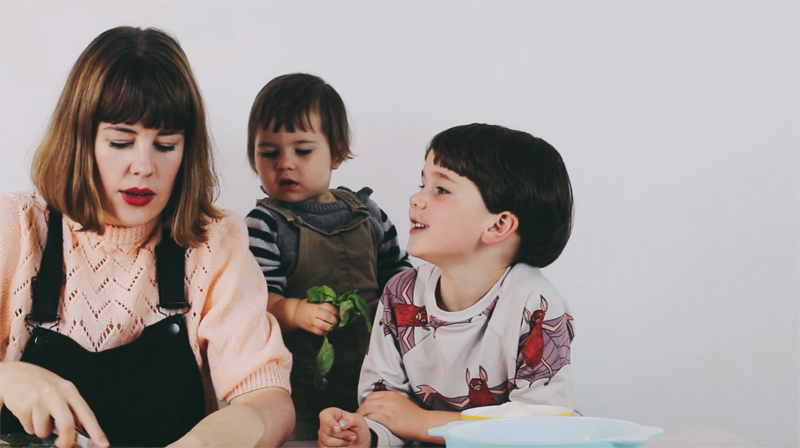 We actually made a little video of the process of cooking together which I think is pretty cute if I say so myself, what do they say about working with children haha! You can get a taster of how it went by the picture below! One of the things we loved about how Gousto put their boxes together is they have measured out exact amounts so even when it comes to something like a meal with butternut squash for example (another of our meals that week) the squash would have been cut and cubed to the exact amount for you. So there's really not much extra work you need to put into the prep a lot of the time, which as a busy parent was a plus point from me. The kids loved helping me make these pizza like dishes and they were simple enough for both of them to be able to add the toppings and spread the tomato paste which they loved doing, even if Mabli did make quite a mess! One of the things I want to try and do more of when we can is eat together. Its not always possible with all our schedules being different but its so special when we are able to do so. I remember family meals as a child being about us all catching up and connecting, which I think is what good food and eating together is all about really! 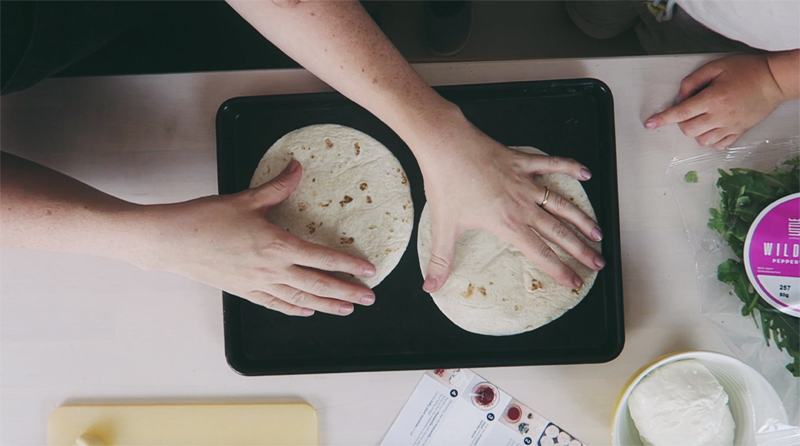 I'd love it if you had a watch of the video we made and what we all thought of the dish. 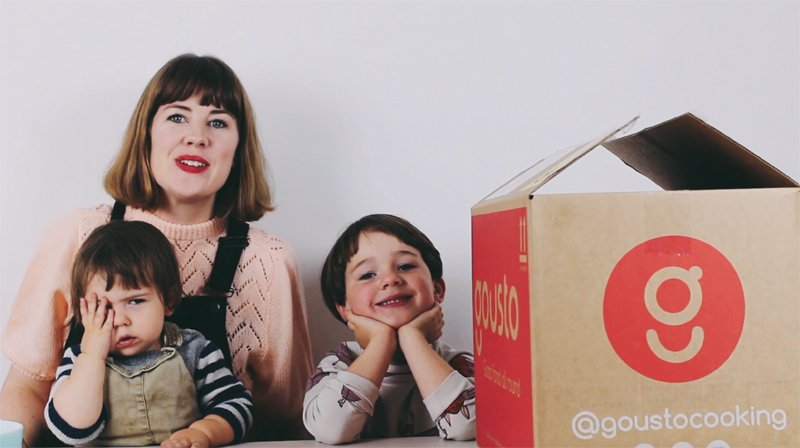 We were so impressed with the Gousto box and will definitely be booking them again. Do you still read blogs? Should we move to cardiff?